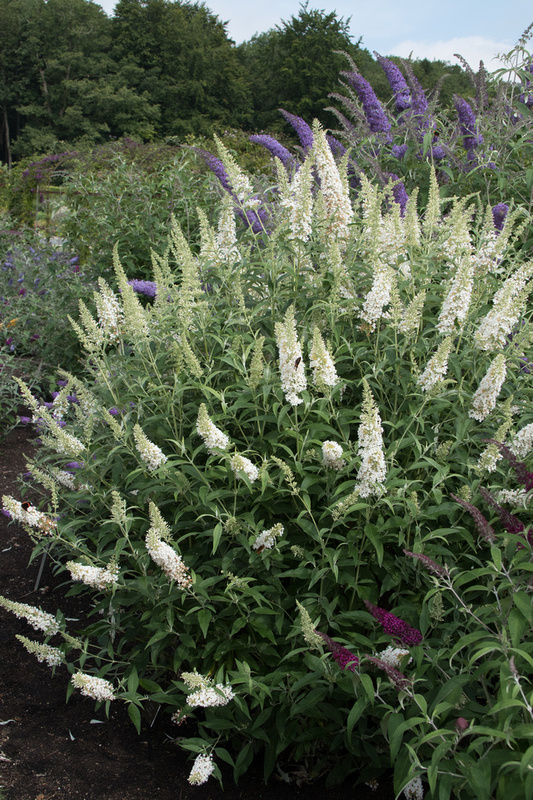 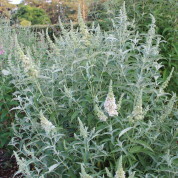 A very recent introduction which did very well at the RHS Wisley Buddleja Trial for habit and the profusion of flowers. 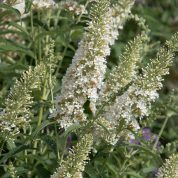 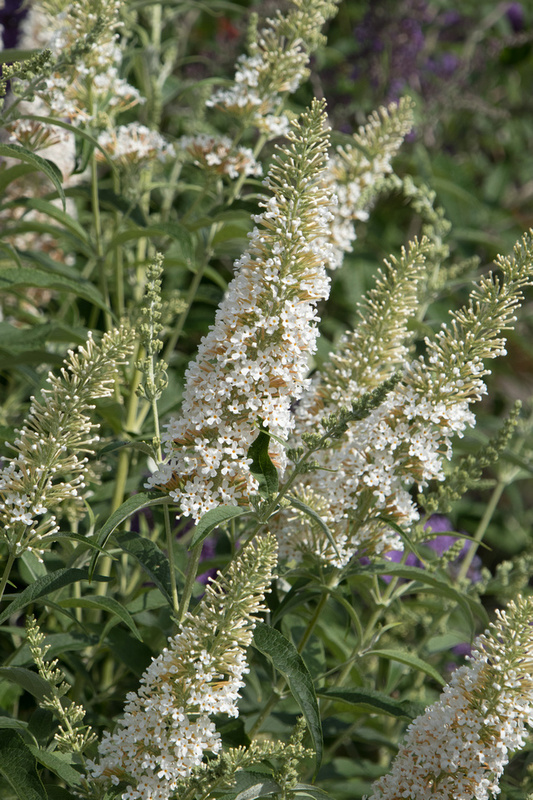 Compact in habit bearing pale green leaves and clean white flowers with an orange throat. 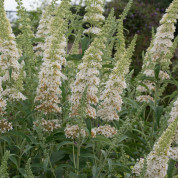 Buddleja ‘Darent Valley’ was found as a chance seedling on the banks of the River Darent, which runs from its source in the Greensand hills south of Westerham and Sevenoaks and on into the Thames at Dartford, Kent, England. 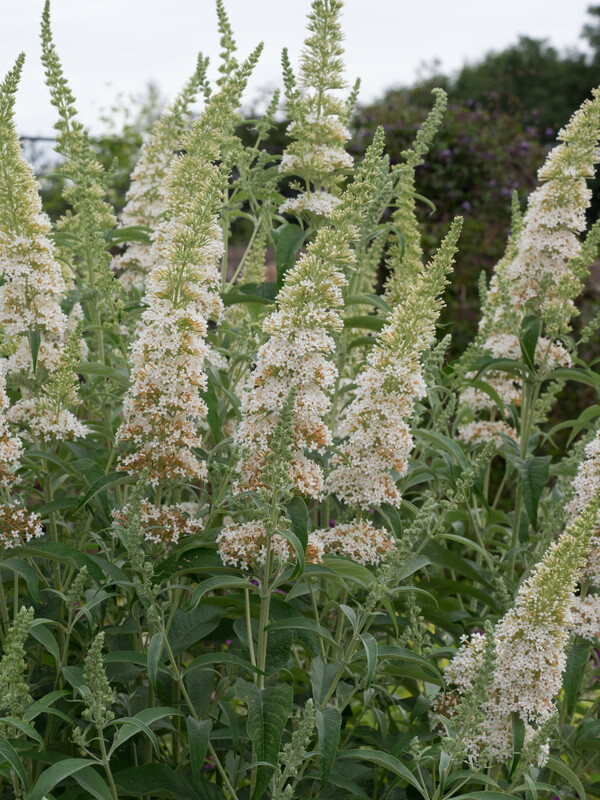 It was found in the Darent Valley near Farningham around 1987 hence the name by Gerald Roberts. 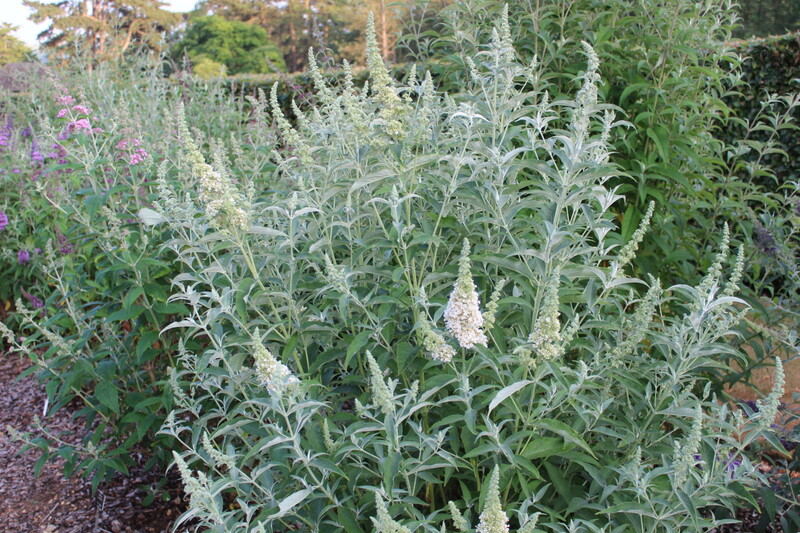 In 1992 it was shown at the RHS summer show in Vincent Square, where it won the class on the day and was taken to the meeting room for an award. 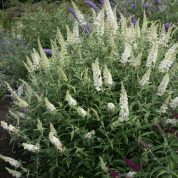 It won a Preliminary Commendation subject to trials in the future and was sent to trials at Wisley (2008-10) where it won an AGM.